After NYC's Shoxx broke up a few years ago, I've been waiting to see if members would form a band that picks up where Shoxx left off. 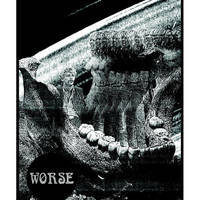 Finally, a demo tape from WORSE. Four tracks of unique noisy punk that falls into its own category. Highly recommended! Only 100 dubbed for now.